Kids wall sticker Christmas Kit. A nice set of Christmas drawings. 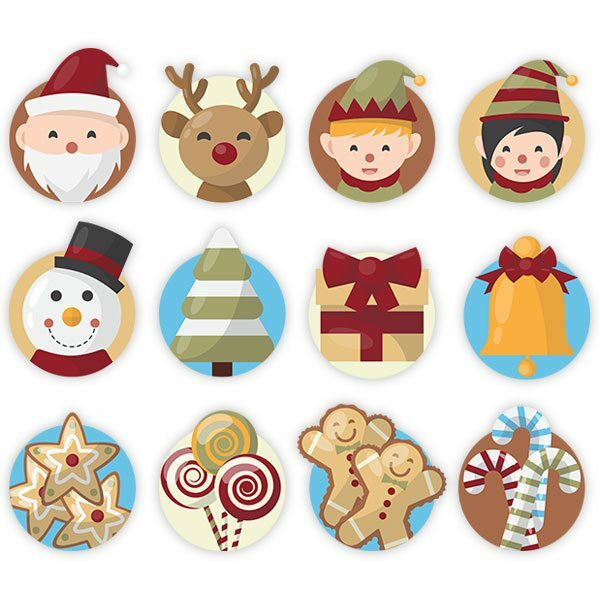 Santa Claus, a snowman, candy canes, cookies, gifts, goblins, a deer ... and the best thing about this kit is that you can separate the stickers can create a unique and different composition in your home. 15.75 x 13.39 in. 19.69 x 16.93 in. 23.62 x 20.08 in. 27.56 x 23.62 in. 31.50 x 26.77 in. 35.43 x 30.31 in. 39.37 x 33.86 in.